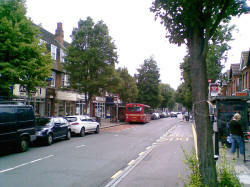 Local residents have urged the Council to preserve the special character of Pitshanger Lane, with its wide pavements and trees, in planning the new “Streets for People” scheme. Following a public exhibition at the end of May, the local Lib dem FOCUS team carried out a survey of 2,500 houses in the area. Results show a large majority want parking to be made easier for shoppers, including the disabled. Over 60% want “stop and shop” spaces, and new commercial loading bays would also be welcome, but not at the expense of increasing traffic speeds and more heavy vehicles. Three quarters of people who answered the survey objected to the introduction of double deck buses on the E2 route, with reduced frequency. Trees have already been damaged as a result, said several people. The results, which can be seen in full at Ealing Liberal Dems have been passed to the Council engineers who are designing the scheme for Transport for London. “We also want them to pass on our view about the changes to the bus service,” said Gary.